Seawind Group, which owns both the Seawind Catamarans and Corsair trimaran brands, has been using both lifting rudders and lifting daggerboards for many years and at least 2500 boats have been launched featuring the combination. It suits both brands: the performance advantages offered by high-aspect foils make them perfectly suited to high-performance Corsair trimarans. And this is backed up by the market – Corsair is the market share leader in trimarans worldwide and voters made the Corsair 760 the Multihull of the Year in her category in 2018. But it is also a great fit with Seawind catamarans, which are designed to deliver cruising comfort, safety and performance. Seawind views speed as part of the safety equation: it’s important to see the weather forecast, but less helpful if you’re too slow to do anything about it. But it’s not only about performance. Seawind and Corsair rudders are housed in a cassette, as seen in the picture here. This allows for easy lifting and convenient maintenance. And of course the system is a natural fit with high-aspect performance rudders, which are easy to lift and handle due to the narrow profile. For performance sailors, this allow for easy removal to prevent biological growth. Daggerboards have a matching frictionless cassette which is designed more toward reducing daggerboard banging. 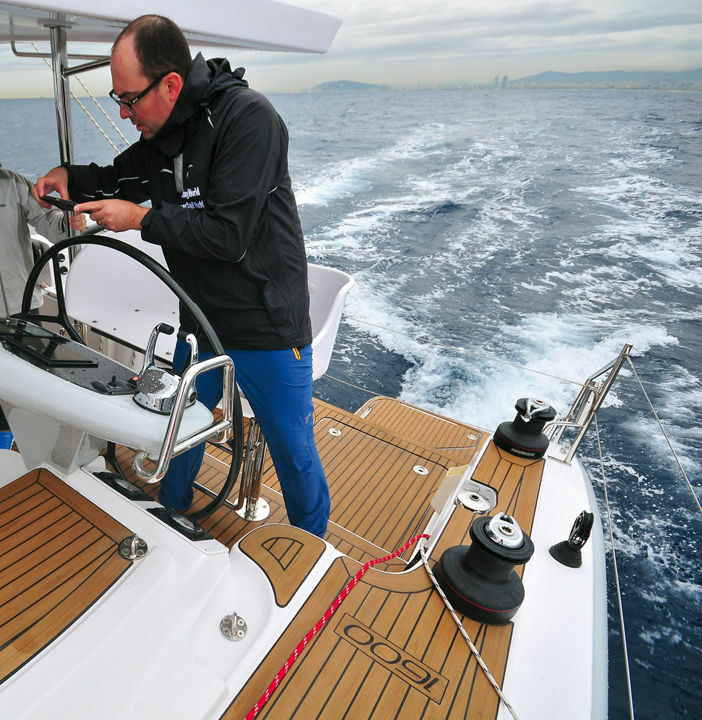 Daggerboards are always operated via a dedicated manual winch and tackle to reduce the likelihood of encountering a situation where they can’t be raised – a daggerboard stuck in the down position is highly dangerous as it may prevent entering a safe port. Here lies the first big and often overlooked advantage – the rudders are sacrificial. In other words, when impacted, the Seawind or Corsair rudder should break before the cassette, and the cassette should break before the steering system. This means that offshore cruisers can bring an extra rudder along and in the case of a breakage, dispose of the remains of the old rudder and replace with a new one in a matter of seconds, without needing to address the cassette or steering system. When racing, a broken rudder does not mean the end of the regatta. This means the breakage load for the boards is an important, and carefully calculated equation. The picture here shows the Seawind 1190 Sport daggerboards in flex and strength destructive testing.